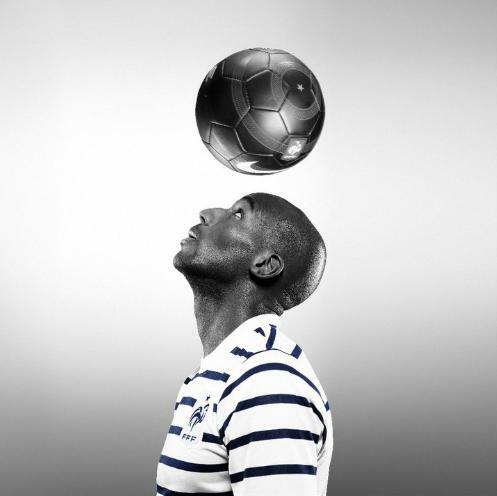 Apparently the lateral stripes are actually navy blue, with a nod to the classic Breton shirt for which France is famous – which leads me to ask: why launch a new kit with a batch of arty-farty black and white photographs when it’s colour is a pretty important factor? La Folie! The pics aren’t black and white, and they are actually quite classy photos. 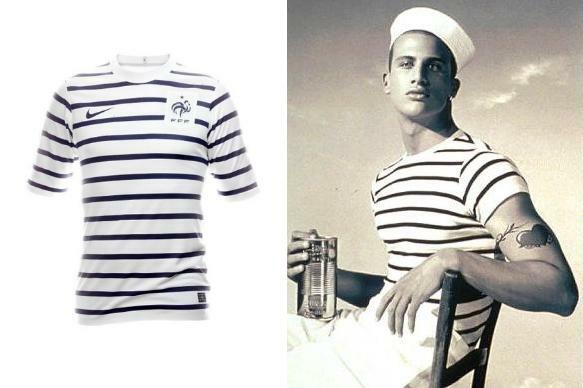 The kit looks amazing, and it’s a different touch compared to the future’esque kits that are in circulation nowadays. You must really be colorblind if you can’t tell the stripes are navy blue in the pics. Now that you mention it, I am a little bit colourblind and do have a pretty crap monitor. In all seriousness, I cannot see any navy blue in any of those photos. @Chris: I apologise for my comment made on that matter, and feel sorry that you do not see the kit in all its sheer magnificence in these photos. When can we expect the kit in use? @Max: Hey, it’s cool dude. I’ve just got sh*t eyes is all! 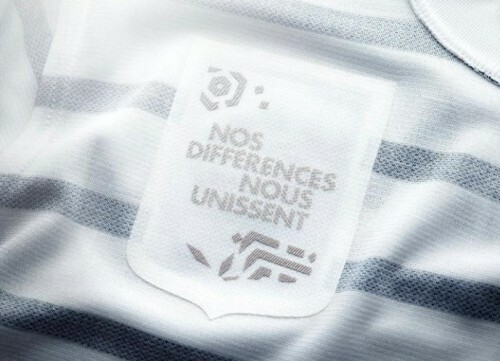 RE: the kit – as far as we know, France will first wear it on March 25th when they play Luxembourg in a Euro 2012 qualifier. Seems a bit cheese to wear this. What?! No complaints about girly this and girly that?! I’m so pleasantly surprised. They do look classy as hell. 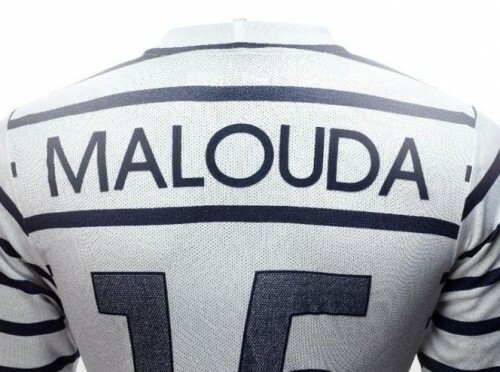 And to use Malouda’s name for the sample photo is icing. Definitely looks black to me too, especially the last couple. Trash kit for a trash national team. 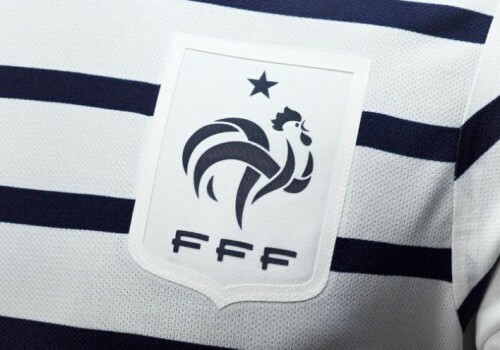 Do like le coq on the badge though.